Sweden, the land of forests and lakes, also boasts bustling cities where cutting edge design mixes with rich cultural heritage. 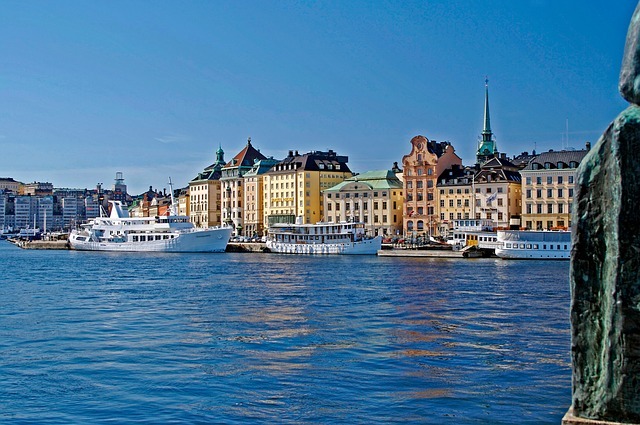 The capital city Stockholm is considered one of the most beautiful cities in the world, due largely to the archipelago system it is built around. Captivating landscapes abound in Sweden from scenic coastlines, idyllic islands, arctic wilderness areas, vast lakes and starkly beautiful forests that cover over half the country. The midnight sun, the snowbound winters, meatballs, herring, Vikings and Volvos, ABBA and the Hives – whatever your pre-existing notions about Sweden may be, a visit to this multifaceted country is bound to both confirm and confound them. Though you’re unlikely to be greeted at the shore by throngs of mead-swilling berserkers in longships, evidence of the Vikings and their pillaging days is easy to find. A stroll through the Swedish countryside will often lead to a picnic on some ancient king’s burial mound. Cycling routes frequently pass through fields crowned with ship-shaped stone graves. In cities and alongside roadways, rune stones staunchly declare the historical equivalent of ‘Ingmar was here’. But Sweden’s days as a warlike nation are long gone. Instead, its domestic and international policies serve as models of neutrality and consensus-building. This is, after all, the birthplace of the Nobel Peace Prize. Travellers today are more likely to be slayed by visions of pastoral beauty – intense green countryside, impenetrable forests, little red cottages atop remote islands and, everywhere, Sweden’s famously clear blue water. Simple classic gear – ensuring you’ll look good in a city that, almost without exception, looks fabulous. This is important if your backdrop is to be as lovely as, say, Gamla Stan, the city’s old quarter! The small, central island where the city was founded in the 14th century, is chock-a-block with teensy old squares, narrow, cobbled streets, charming churches and the Royal Palace. Everyone goes. You will too. Visby is a city located on the island of Gotland, and is the largest city on that Swedish island. Visby Sweden is one of the best preserved, if not the very best, of medieval towns, and is a UNESCO World Heritage Site. 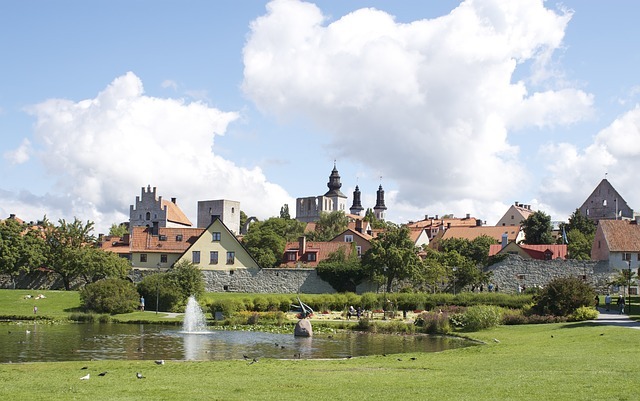 Visby Sweden is home to some of the most intriguing medieval attractions in Scandinavia, most notable the stone wall that stretches for more than 2 full miles around the city of Visby. The ski resorts of Sweden stretch from Riksgränsen in the Arctic Circle, in the far north, down the backbone of the Swedish mountains in the north-west, and then wind east into the county of Dalarna. And with its northerly latitude, most ski resorts guarantee snow between Christmas and Easter. So you can ski in Sweden against a backdrop of the Midnight Sun, and the kaleidoscopic curtain of the Northern Lights. Where else in the world can you do that? The popularity of spas in Sweden is increasing as many find that they need some extra pampering to balance their hectic lifestyles. Today a spa experience can offer more than just the treatments enjoyed: you can go to a spa in the far north under the midnight sun, unwind at a spa nestled in the magical landscapes of southern Sweden or visit a spa in the heart of a bustling Swedish city. Sweden has a mostly cool temperate climate, but the southern quarter of the country is warmer. Norway’s mountains act as a rain break, so yearly rainfall is moderate. Swedish summers are generally fairly sunny with only occasional rainfall, but August can be wet. The average maximum temperature for July is 20°C in the south and around 17°C in the north. Long hot periods in summer aren’t unusual, with temperatures soaring to over 30°C. The harsh Lappland winter starts in October and ends in April, and temperatures can plummet as low as -50°C. Snow can accumulate to depths of several metres in the north, making for superb skiing, but snow depths in the south average only 20cm to 40cm. It usually rains in winter in the far south (Skåne). The west coast is warmer than the east, thanks to the warming waters of the Gulf Stream. Despite its northern location in Europe, Sweden isn’t as cold as you might expect. The south has a year-round temperate climate and summer can be quite warm in the north. Sweden is at its best during summer and autumn (late May to September), but hikers and campers may wish to avoid the peak of the mosquito season (June and July). Due to the country’s high latitude, daylight hours are long in summer. Malmö gets 17½ hours of daylight at midsummer, and Sundsvall has constant light during the second half of June, but you have to travel north of the Arctic Circle to experience the true ‘midnight sun’ – in Kiruna, the sun remains above the horizon for 45 days, from 31 May to 14 July. Swedes are big on holidays, and even Stockholm shuts down for two or three days around Christmas and midsummer, so plan accordingly. Most Swedes take their vacations from late June to mid-August, so hostels are crowded, but this is also when most hotels offer discounts of up to 50%. Travel in winter is somewhat restricted and requires some planning as well as serious winter clothing, but there are good opportunities for activities like skiing, dogsledding and snowmobiling. The big cities are in full swing all year, but the smaller towns almost go into hibernation when the temperatures begin to drop (the notable exceptions being popular ski resort towns like Åre, and Jukkasjärvi, home to the Ice Hotel). Public transport is heavily subsidized and well organized. It’s divided into 24 regional networks (länstrafik), but with an overarching Tågplus (www.tagplus.se) system, where one ticket is valid on trains and buses. The three-part Rikstidtabellen gives timetables for all domestic services: buy it at railway stations or large newsagents for Skr80. Handier local timetables are available free of charge or for a nominal fee from tourist offices or the operators.